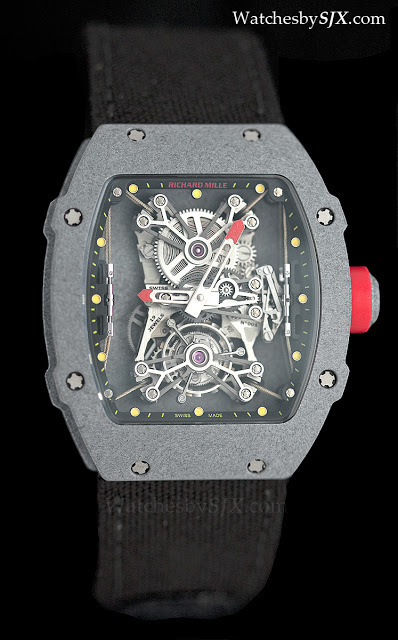 At SIHH 2013, Richard Mille unveiled the latest lightest watch ever, the RM027-01 Rafael Nadal. 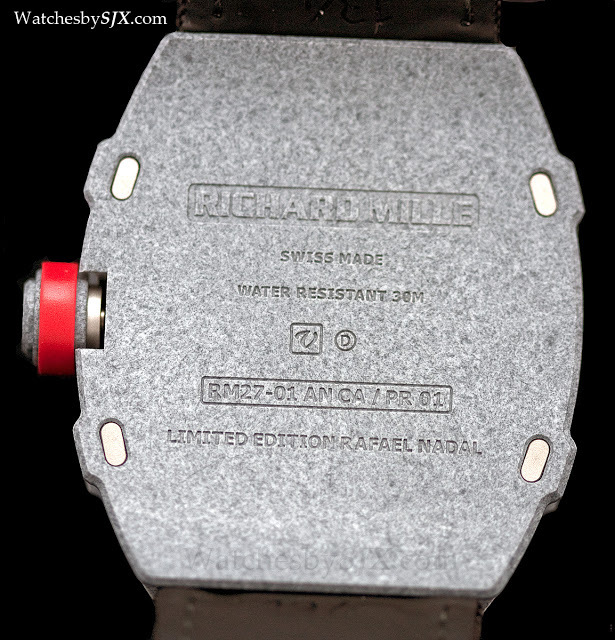 This weighs 19 g, including the Velcro strap. 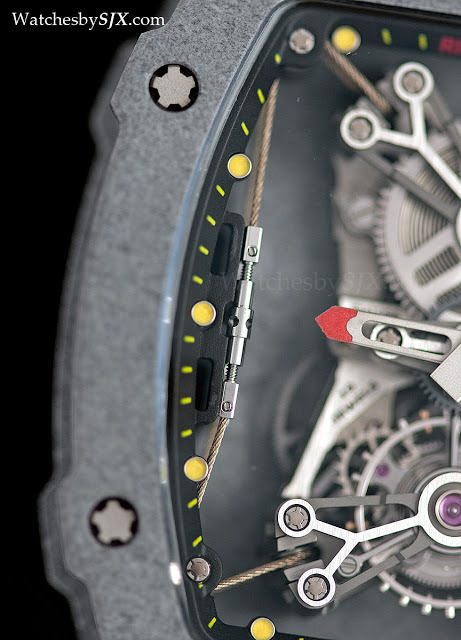 In comparison, the earlier RM027 weighed in at 13 g without strap, and just over 20 g with the rubber strap. 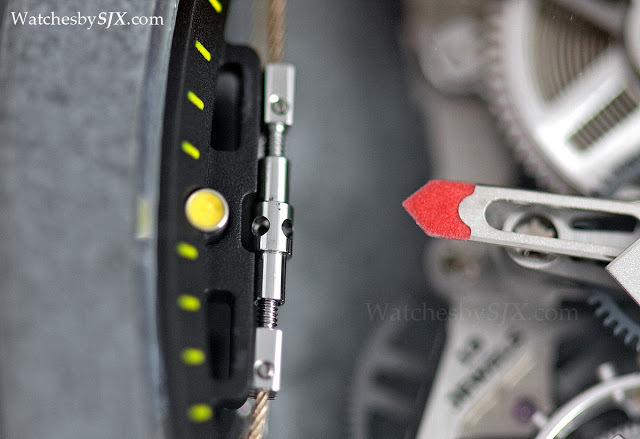 Both are light enough that Rafael Nadal wears them on his right, non-playing wrist during matches. 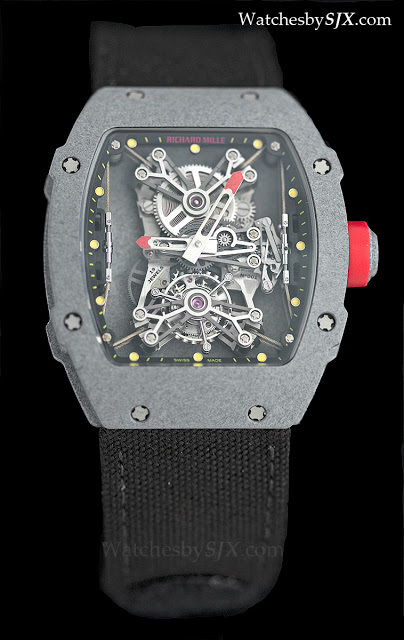 The RM027-01 is the new undisputed champion in the segment of the featherweight luxury watch which Richard Mille pioneered. 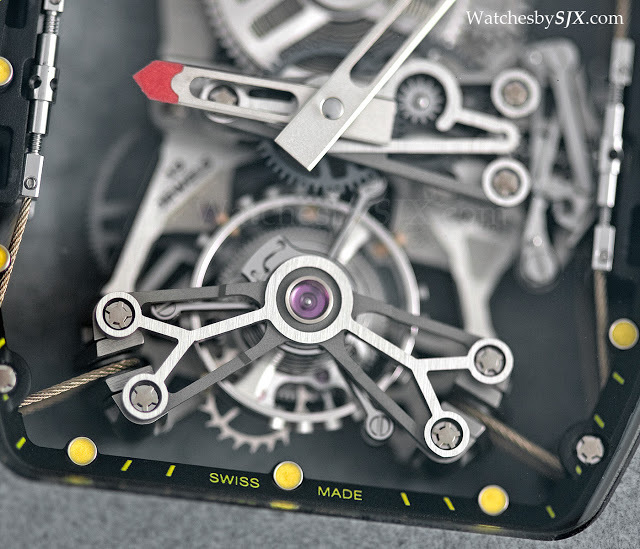 The watch is light because the case is made of carbon nanotubes in a polymer matrix while the crystal is polycarbonate. 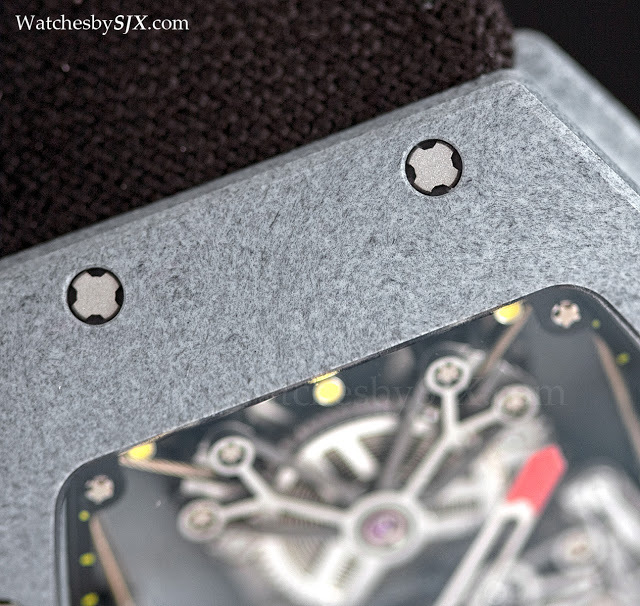 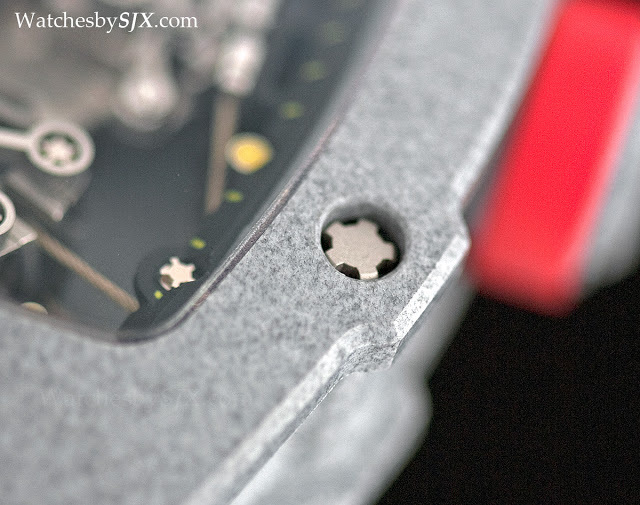 The case is a mottled grey colour, which is not as attractive as the all black RM027. 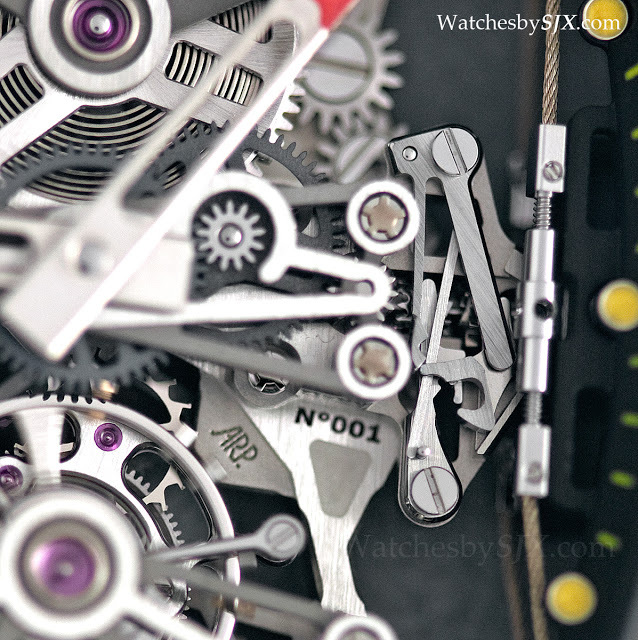 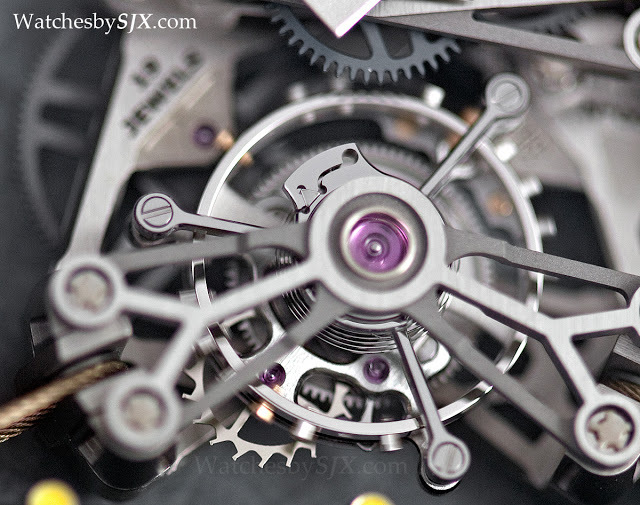 And the movement has a titanium base plate and aluminium-lithium bridges. 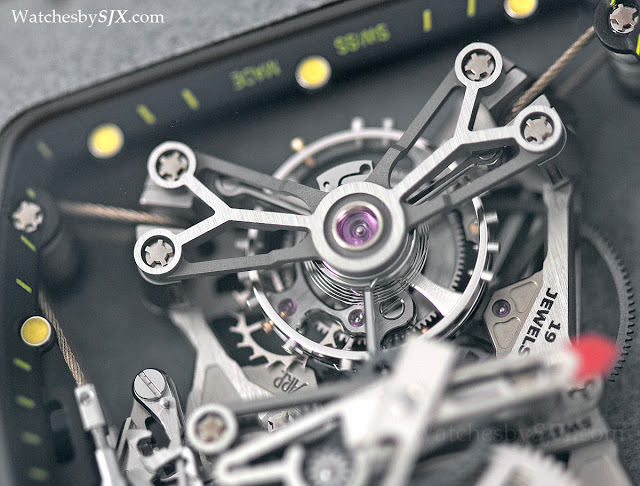 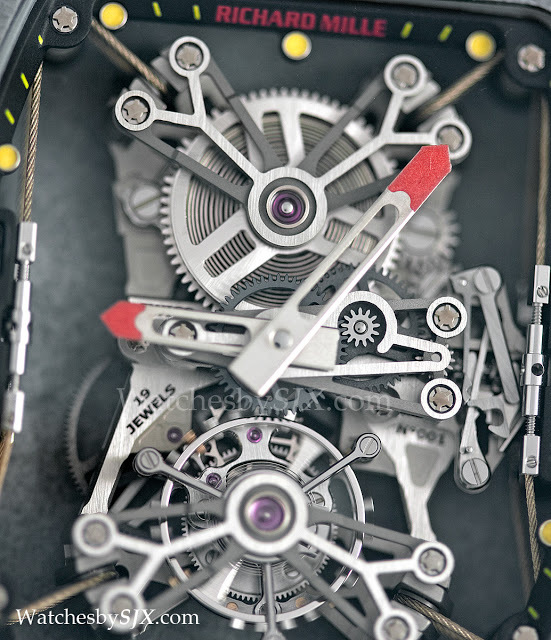 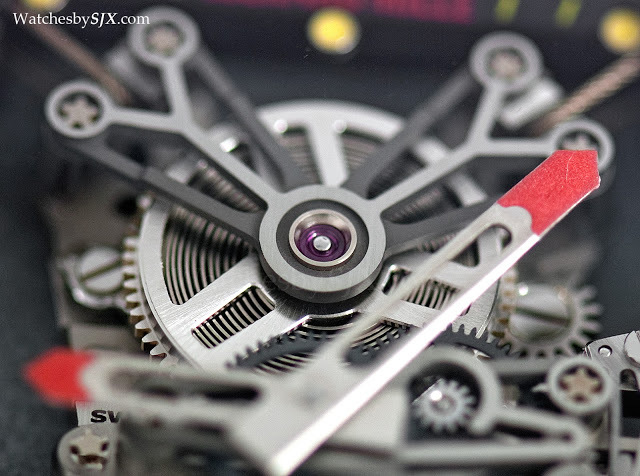 Most interesting of all – and this is probably the most notable horological feature in this watch – the movement is suspended inside the case by steel cables. 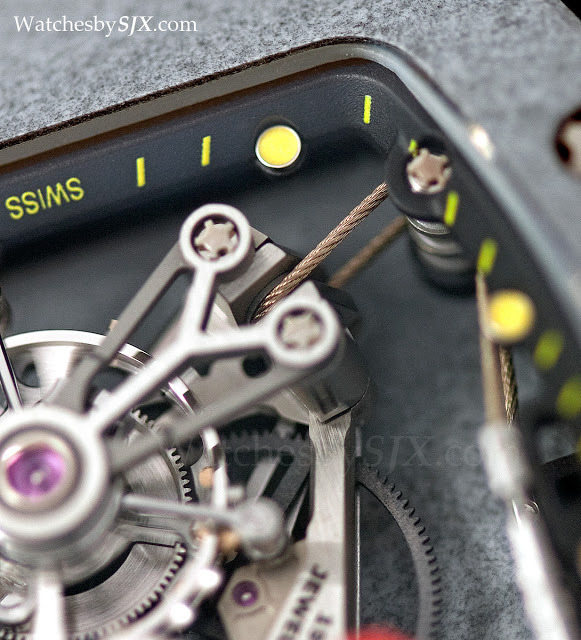 Four tiny steel cables, each secured by a tensioner, run around the inside of the case, securing the movement in place. 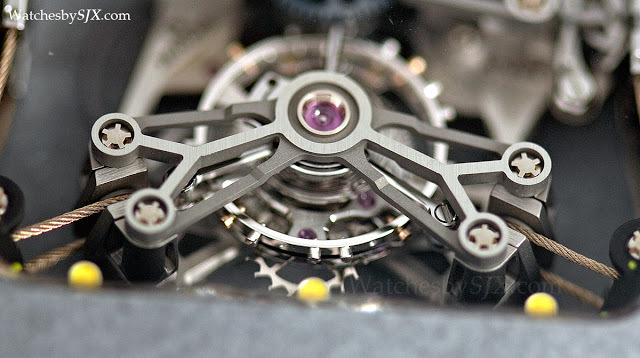 Once the movement is assembled and in place inside the case, the watchmaker tensions the cables via the central tensioner ring. 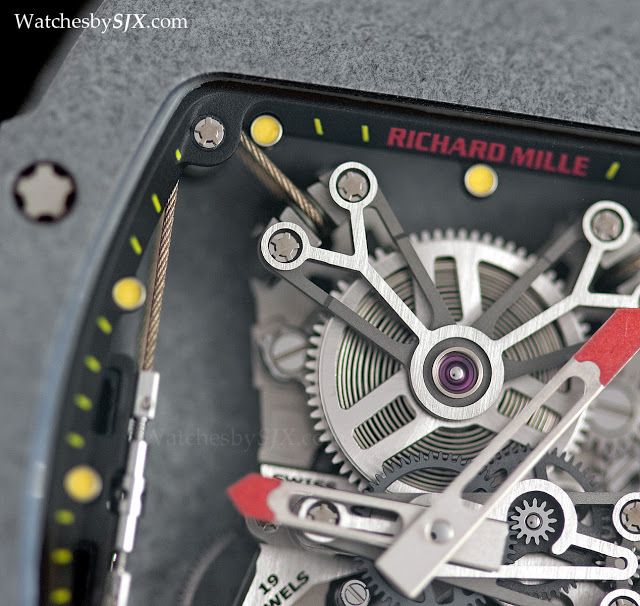 Mechanically the movement is typically of Richard Mille tourbillon movements, which are entirely made by AP Renaud & Papi. 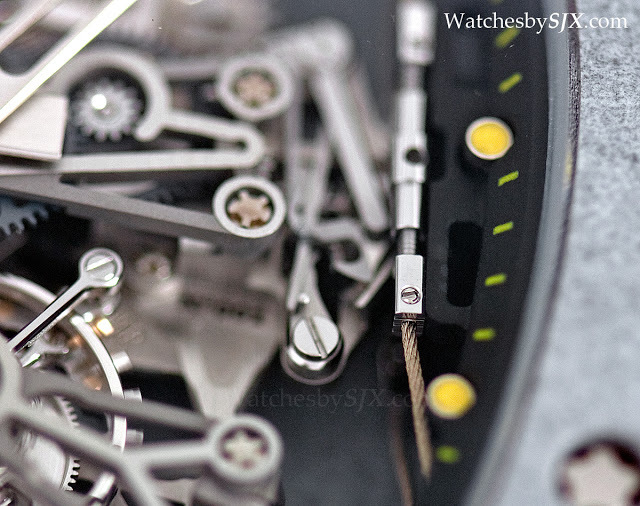 The finishing is simple and in keeping with the modern style of the watch.